When your vehicle needs repair or body work, come to Next Auto Body for quality auto body repair services in Fairfax. Our shop operates with the mission of providing customers with an enjoyable and individualized experience for car repairs. We work efficiently and effectively to get you back on the road faster. Auto Body Repair : We are equipped to rectify all types of body damage, no matter the make or model of your vehicle. Whether your vehicle is an automatic or manual transmission, domestic made or foreign produced, a coupe or an SUV, our extensive network of suppliers will allow us to obtain any part necessary quickly. Refinishing & Painting: Whether you need a quick touch-up or an entirely new coat, Next Auto Body can enhance your entire vehicle's exterior. Don't let a fading, peeling, or rusting paint job threaten the body of your car or affect its market value--our trained professionals will get the job done right the first time! Collision & Dent Repair: If the worst happens, we will work quickly to renovate your vehicle to its original appearance and complete functionality. We will research factory specifications to ensure that we install proper replacement parts and repair according to manufacturer established best practices to get your car back on the road as fast as possible. Insurance Coverage : Working with your insurance company after an auto accident to receive compensation and replacement transportation can be a stressful experience. We work with all major auto insurance companies to make sure you receive what you need to your car back to working order on the double. Auto Customizing: It's your vehicle--make it the way you want it to be! Our services are not limited to Simi Valley auto body repair; we also can perform all kinds of vehicle modifications and install a variety of accessories such as new wheels or tires. No matter your need, we will make sure your car is furnished for your needs. Auto Detailing: We do professional washing, buffing, waxing and complete detailing of your entire automobile. All work is done by hand. We can buff out most scratches, completely clean out front and rear ends, polish chrome accessories and can return the car's original paint to a high quality, new look. We restore glass and plastic head lights to new. We completely clean dirty car wheels and clean out all hard-to-reach areas, inside and out. When Next Auto Body is done detailing, your car will look like new again. Restoration: For older cars, a little tender loving care can go a long way to ensuring your vehicle retains its value across its useful life. Fixing mechanical or electrical issues or finding replacement parts can be tricky on your own--let our trained professionals help you to overhaul your dream car, so you can have more time to drive it! 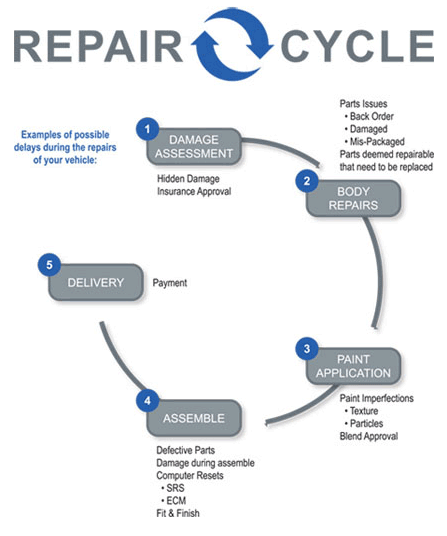 Auto repair is about more than simply the appearance of the vehicle. When we conduct tasks on your vehicle, we work with a view to provide you with the safest and most functional version of your car. For a free estimate on our services, contact us by calling (703) 323-0002 today!